Renewable energy and energy efficiency are perhaps the most significant of the clean technology sectors because of their ability to revolutionize and modernize energy production and use globally. Renewable energy is generally defined as energy that comes from resources which are continually replenished on a human timescale such as sunlight, wind, rain, tides, waves and geothermal heat. These technologies are key for power generation, heating, and transportation. Renewable electricity generation from solar, geothermal, wind, biofuels, and water technologies is providing reliable and affordable energy to the marketplace, spurred by aggressive policy changes by governments and investment by the private sector. Renewable energy technologies are getting cheaper, through technological change and through the benefits of mass production and market competition, which shortens the payback period for consumers. In the case of solar, both photovoltaic (PV) and thermal technologies have benefited in the US from the 30% federal Investment Tax Credit (ITC), which was renewed in late 2015. State policy, such as having strong Renewable Portfolio Standards (RPS) and State Renewable Energy Certificates (SREC), has been driving innovation and implementation, both in utility scale projects and on the residential side. Thus financing solar projects through new mechanisms, such as tax equity, has become critical and lucrative. In developing countries, particularly in Sub-Saharan Africa and in India, rural electrification through renewable energy sources will allow citizens to leapfrog over their Western counterparts who industrialized using dirty energy. 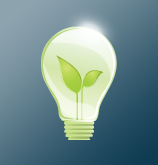 The goal of energy efficiency technologies is to reduce the amount of energy required to provide products and services. For example, insulating a home allows a building to use less heating and cooling energy to achieve and maintain a comfortable temperature. Installing fluorescent lights or natural skylights reduces the amount of energy required to attain the same level of illumination compared with using traditional incandescent light bulbs. Switching to Light-emitting Diode (LED) lighting is often considered “low hanging fruit” and can provide immense cost savings by reducing energy, maintenance, and cooling costs. The last few decades have brought pioneering energy efficiency technologies including in the areas of vehicle fuel economy, appliances, sensors and controls, space heating and cooling, and improvements of windows, doors, and skylights.